There are now a few Sport crags in Shetland. 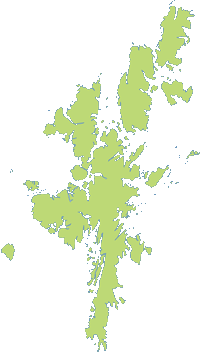 Raasmi was Shetland’s first sport crag developed by Al and Paul Whitworth as a training venue. It’s a great venue for an evening session and has more potential for routes if there is ever the interest. The other venue is The Virdans quarry at Mavis Grind, Brae. The rock in the quarry is pretty friable but after significant cleaning there are some great routes to be uncovered. Plenty of work still to do at this venue and any donations are appreciated.